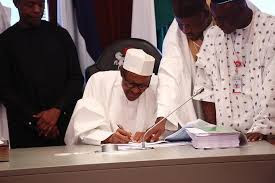 President Muhammadu Buhari on Thursday, June 9, released the list of Ambassadorial nominees. This was contained in a letter sent to Senate president Bukola Saraki. Saraki read out the list of the 47 ambassadors on the floor of the Senate. According to the letter, the nominees are career diplomats who will oversee Nigeria’s mission outside the country.